How Rogers Hearing Solutions is making quality hearing care more accessible for clients using novel, cutting-edge technology. Originally formed by a small group of hearing health professionals, Audibel is passionate about delivering excellence to every person who walks through one of their clinic doors. Starting in October of 2000, it did not take long for the business to grow to over 1,000 offices across the United States. No matter which practice visited, you can be sure to receive the highest quality of care, attention, and technology needed for better hearing health. Rogers Hearing Solutions — with offices in Peabody, Marlborough, Tewksbury, and Winthrop MA as well as Portsmouth, NH – is an Audibel-affiliated hearing retail chain. Owner Jay Spinnato and Managing Director Nicole Kalukiewicz (both State Licensed Hearing Instrument Specialists), and Michael Drennan (Board Certified Hearing Instrument Specialist) have been providing their patients with this same high-quality hearing care for over 40 years, offering uniquely personalized services including diagnostic evaluations, education, and rehabilitation. Periodically, they expand their hearing testing services beyond the clinic, offering mobile services where and when needed. One such example is at the annual Topsfield Fair. Known as “the longest continuously operating county fair in America” Topsfield had close to 500,000 visitors last year, representing an average of approximately 40,000 visitors per day. Rogers Hearing Solutions has had a strong presence at the event for the last 6 years. Every year in early autumn, Nicole and her colleague, Amanda Barnhart, set up an exhibit at this fair where they spend eleven days outside of the clinic offering hearing testing consultations to fair patrons. When they diagnose an individual with a hearing loss, they have the capacity to fit and provide these patrons with hearing aids right on the spot. For anyone who fits and sells hearing aids, you know that the equipment required to provide this service outside of a clinic could prove challenging. Each year Rogers Hearing Solutions would ship and install two sound booths to provide the right environment to conduct hearing tests in the exhibition hall. And they would bring 2 traditional audiometers that could be used to perform the diagnostic hearing tests. They would then recruit fair patrons as they walked through the hall with the offer of a hearing consultation and hearing test. Typically, they would perform advanced testing – including otoscopy and pure tone air conduction testing – in the sound booth. In 2016, the entire cost of participating in the Topsfield Fair was roughly $4,500. Using this workflow, they were able to test 40 patients leading to 10 hearing aid units sold and $17,400 in sales. Of course, it is hard to put a value on the ability to bring your services to places where your audiences gather, but Nicole and Amanda knew that they could improve the return on investment of this annual event. In 2017, they decided to do something different. They knew they needed to find a way to test more people at the fair to be more efficient. And they wanted to make testing much easier outside of the clinic. They knew that novel technologies that enable hearing testing outside of the sound booth and that improve testing workflows were emerging on the market. They heard about SHOEBOX Audiometry and SHOEBOX QuickTest at a hearing industry conference in September of 2017. 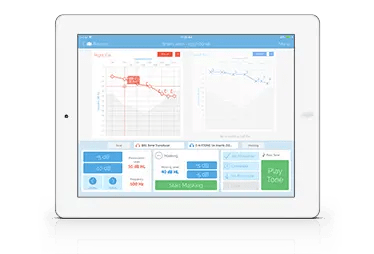 SHOEBOX Audiometry is an iPad-based audiometer that is optimized – and validated – for use outside of a sound booth. It offers both manual and automated testing modes making it easy-to-use, highly portable, and perfect for testing outside of the clinic. 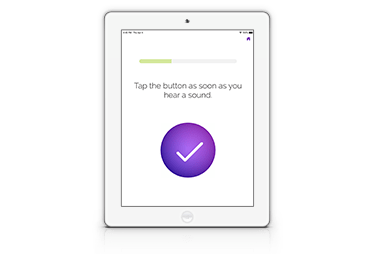 SHOEBOX QuickTest is a new customer acquisition tool that operates as a simple, self-administered hearing screening test. It can be operated in a kiosk stand and is designed for high traffic areas like retail outlets, waiting rooms, and health fairs. 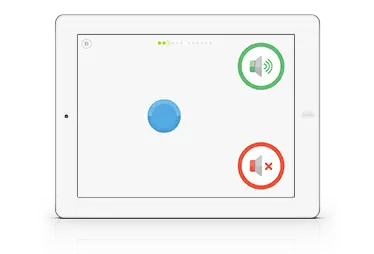 QuickTest is a short, self-administered, touch-screen game that includes an option to gather contact details of those individuals who take the test. This way, you can prioritize who you follow up with based on the results of their screening test. Ingeniously, they came up with a workflow that would combine SHOEBOX QuickTest and SHOEBOX Audiometry to optimize their time at the fair. First, they used QuickTest to perform a quick pre-screen to determine which patrons had a potential hearing loss and which ones had none. This step took one minute or less. Patrons with potential hearing loss were offered a full evaluation with advanced testing using SHOEBOX Audiometry. And for those patrons who qualified, hearing aids were fit on the spot. In previous years, without the pre-screening step, every patron had to be offered the full evaluation which can take 10-15 minutes of consultation and preliminary testing before determining if any hearing loss exists. This amounted to significant wasted time for Nicole and Amanda. Time that could have been spent with those patrons who really needed their help and service. SHOEBOX QuickTest mitigates time lost through smart patient qualification, ensuring that those who go onto a full evaluation likely present with some hearing loss. The results of this new workflow were game-changing. Using SHOEBOX QuickTest and SHOEBOX Audiometry, Nicole and Amanda were able to pre-screen hundreds of patrons and perform full evaluations on 65 (up from 40 in 2016). Seeing more qualified individuals also increased their sales: they sold 19 units (90% more than 2016) and generated $41,900 in sales (140% more than 2016), of which they attributed 12 units and $28,000 directly to the presence of QuickTest. Overall, Nicole and Amanda loved how convenient and easy it was to use the SHOEBOX systems. 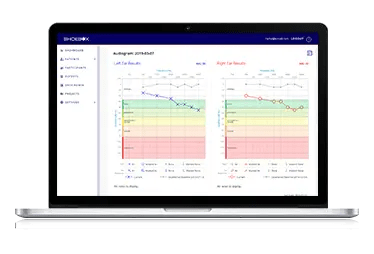 SHOEBOX Audiometry enabled them to test and fit hearing aids without the need for a sound booth, and QuickTest helped them to easily and quickly triage patrons into different categories to help them more-intelligently manage their time up front. 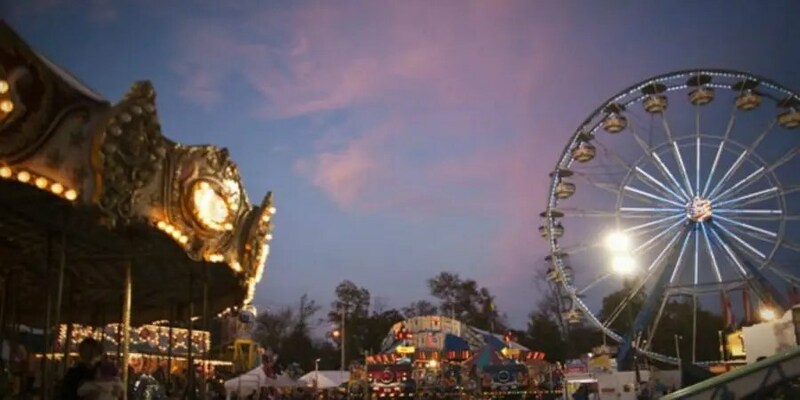 Since trying SHOEBOX at the Topsfield Fair, Nicole has plans to start incorporating this novel workflow into her clinical practice and she hopes to use it for other prospective events outside of the clinic.